This article is solely dedicated to Medical Medium hair loss supplements (meaning Medical Medium’s recommended herbal supplements on hair loss cure). He talks about these 3 powerful herbs that have the ability of stopping hair loss and hair falling out. If you are not sure who Medical Medium is, the man behind it is Anthony William. You can read more about him and his holistic way of approaching various health symptoms including Alopecia in this article. We share all the tips and information he gives out about hair loss and hair regrowth from vitamins, supplements, herbs, to foods in great depth. If you are looking for natural male or female pattern baldness treatments and remedies on how to prevent hair thinning and hair fall out, you’ll find this information helpful. To briefly sum up the Medical Medium on causes of hair loss in women and men, he mentions that hair loss is closely related to these two things: the liver and adrenaline. If the liver is in a bad shape, it will eventually lead to hair loss due to the lack of needed nutrition getting to the epidermis (the outer layer of the skin, which also includes the scalp). He also covers interesting information on Alopecia. Alopecia is not caused by autoimmune disease (as scientists and medical researchers conclude). Instead, people with Alopecia are actually missing a certain hormone that should be found in their adrenaline (Read this article for detailed explanation). In order to reverse hair loss and get your hair to grow back, he suggests a list of herbs, supplements, and foods to add to your diet. Anthony William mentions that these 3 herbs are powerful agents for bringing back hair by addressing the origin of hair loss issues. These herbs have the natural abilities of either restoring the liver or keeping adrenals strong (or both). Also note that he didn’t literally say these are the “top 3” of hair loss cure. But based on listening to one of his radio episodes on “skin, hair and nails health”, we noticed that he mentions and emphasizes these 3 natural herbs for hair loss several times. Below shows the specific supplements he recommends. As an additional note, these are NOT his products; he just recommends what he believes are the best out in the market. In addition to Medical Medium supplements for hair loss cure, we also did some extra research on each item below to find additional brands that are popular right now. Our research: We compared the Medical Medium recommended Ashwagandha by Gaia to a couple of other Ashwagandha supplements that are popular on Amazon – Havasu Nutrition Ashwagandha and BRI Nutrition Ashwagandha. First, looking at the amount of Ashwagandha herbs you get, we noticed that Gaia’s Ashwagandha is the SOLID winner with approximately 5.5 TIMES MORE content in each capsule than the other two. To be specific, Gaia’s capsule includes 350mg of Ashwagndha EXTRACT which they mention is equivalent to 2700 mg dry herb in each capsule. Both Havasu Nutrion and BRI Nutrition have 500 mg in each capsule which is a LOT less. If you are price-conscious, BRI Nutrition is the best option offering the lowest price. But, if you want to get the maximum amount of Ashwagandha from each capsule, Gaia is the best option by offering more than 5.5 TIMES MORE content in each capsule. NOTE: In his radio episode, he also talks about people growing their hair back after taking Ashwagandha. 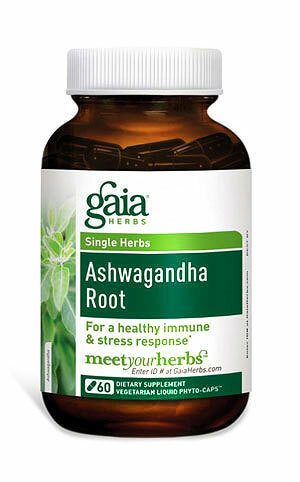 If you are looking for the best product for hair regrowth in a natural way, try Ashwagandha. 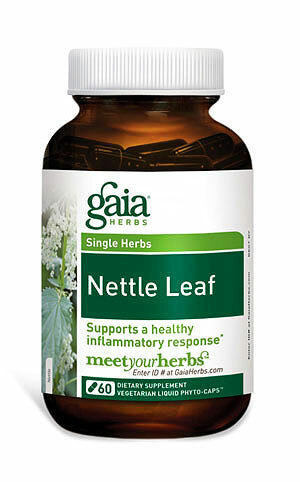 Medical Medium points out there are 3 different ways you can take nettle leaf for hair loss – tea, capsules, and tinctures. 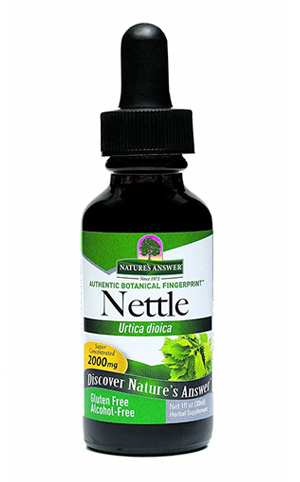 Medical Medium recommendation: Nature Answer’s nettle leaf tincture in alcohol-free formula or Gaia Nettle Leaf capsules (he didn’t include any specific tea brands on his list). Our research: If you prefer drinking tea instead of taking nettle leaf capsules or tinctures, check out Traditional Medicinals’ organic nettle leaf in individual tea bags (at a great price). The brand uses the highest quality (pharmacopoeia grade) herb with 100% certified organic ingredients and non-GMO verification. This is another important herbal plant he mentioned that is incredible for people with hair loss and getting hair back. 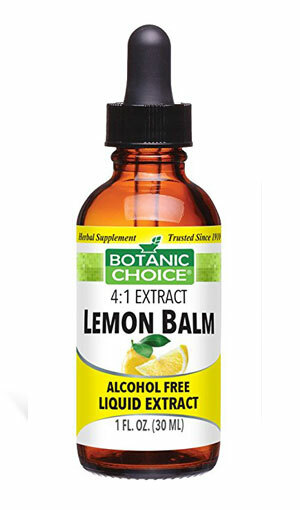 Medical Medium recommendation: Botanic Choice’s lemon balm tincture in alcohol-free formula. Our research: You can also consume lemon balm as a tea. Traditional Medicinals (the same brand we just mentioned for nettle tea) also makes tea bags for lemon balm that are both USDA organic certified and Non-GMO verified. Any other important Medical Medium tips for natural hair loss cure? For the liver: Since the liver is responsible for healthy hair, he recommends peppermint tea as a powerful liver restorative as well as drinking a cup of cucumber or celery juice every day. 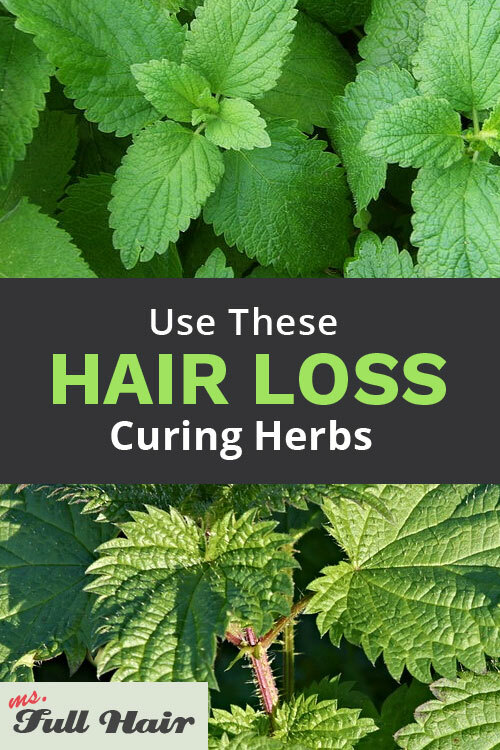 If you are looking for hair loss cure the NATURAL way, it’s worth following his advice on the top 3 herbs – Ashwagandha, nettle leaf, and lemon balm. In fact, two of these herbs (Ashwagandha and nettle leaf) are NOT something new in the hair loss world. Here is the most important part: Whatever you decide to take for your hair thinning from this Top 3 list, you need to take enough of each one to see hair regrowth results (not the tiny bits many hair, skin, and nail supplements include in their formula, according to Medical Medium. To see the best hair regrowth results, try all 3. If you want to start with one thing for reversing hair loss, go with Ashwagandha. Medical Medium emphasizes about this powerful herb being the great source of restoring the liver and keeping adrenaline strong, which in turn will grow your hair back. Great informative article! I knew about nettle for hair loss, but lemon balm is something new. Such a great summary, thank you! I follow Medical Medium, and it’s so nice to see his advice summed up.